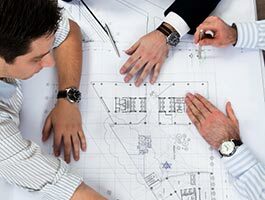 Our 12 year track record of success working with operators, hospitals and doctor groups across the U.S. gives Altera a unique perspective on the planning, financing and development of medical facilities. We understand what goes into the creation of a medical office building, including determining space requirements, negotiating ground leases, incorporating needs of physician tenants and recruiting new ones. Our team has hands-on experience in the hospital industry, giving us the ability to look at your project from a medical point of view. With our flexible and open-book process, Altera is a development partner with as much expertise in relationship building as in building medical office facilities. Our proven track record in structuring deals in ways that increase the ability to raise capital to fund development and acquisitions is key to our success. Altera provides a flexible approach, where joint ventures and physician ownership are often a part of the capital stack.